How much is Lil Ronnie Worth? Lil Ronnie net worth: Lil Ronnie is an American rapper who has a net worth of $9 million dollars. Born in Kansas City, Missouri, Lil Ronnie, also known as Ronnie Jackson, grew up in Atlanta, Georgia. He was always interested in music, and began to focus on a career in music production while living in Atlanta. He was instrumental in shaping the Atlanta-sound, and has worked with multiple stars. 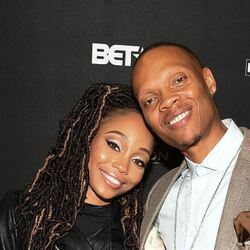 His production credits include such tracks as Priscilla Rena's "Doll House", Ciara's "Tell Me What Your Name Is", Britney Spears' "Lace and Leather", R. Kelly's "Crazy Night" and "Same Girl", among other tracks, Rubben Studdard's "Sorry 2004", Bow Wow's "I'm a Flirt", Lupe Fiasco's "Can't Get You Out of My Head", and Scotty McCreery's hit song, "I Love You This Big". He released his own single, "Addicted", which featured rap artist, Bow Wow, in 2008, and also produced R. Kelly's ninth studio album, "Untitled" in 2009.